Kindle loves this project because... Sacha Warmi is doing the quiet and fierce work of protecting, promoting and working with indigenous healing. They came to us by way of our Boomerang Flow Fund Program. Makers Muse Artist Awardee, Mateo Kingman, recommended Sacha Warmi for a grant as a part of this program and here's the powerful reason why: "My work with the plants, have been the greatest inspiration to make music, write lyrics and put all this on stage. At the Sacha Warmi Center, they are seriously engaged in the processes of human detoxification, and community health. Didier once told me: “Use fear in your favor, fear gives you wings.” Below Didier shares with us the genesis of this amazing work. Thank you! In the world of projects, other than what is done in the field, what often ends up being most interesting is what happens behind the scenes. We do things, and other things happen, which then creates more things, and so on and so forth. Eventually, our projects merge with other projects, personal or collective ones, in a continuous process of re-appropriation and recreation. The project for me, started with an encounter in the rainforest of Ucayali, in Peru in 1982. It was with an indigenous shaman, who introduced me to the world of medicinal plants. “The knowledge of my people is being lost”, he told me. One year later, I was working in the region of Madre de Dios, in the southeastern Amazon of Peru. The words of the shaman were still reverberating inside me. I was asking myself what can be done to stop the course of this biocultural erosion? Two more years went by, until a first answer to the question manifested itself. This is how in 1985 the AMETRA (Aplicación de la Medicinal Tradicional) project began with the indigenous peoples organization (Fenamad, Federación de Comunidades Nativas de Madre de Dios) of the Madre de Dios river basin, so that people would regain trust in their own medicine, which was being lost. Back in those days we were pioneers. Not so long ago, the World Health Organization had officially recognized the importance of traditional medicine and launched its goal of “Health for All by the Year 2000.” We were young then and the year 2000 still seemed far away. 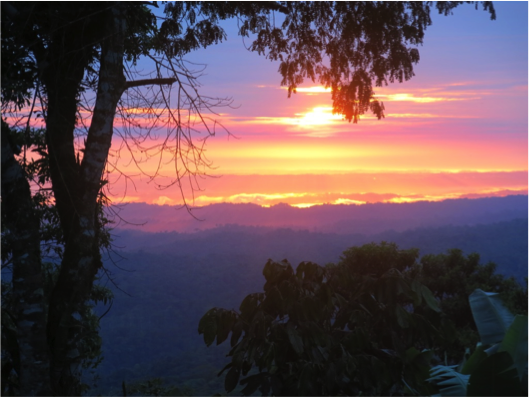 Today, 30 years later, with the Sacha Warmi project, we still search for the answers to the same questions, but now in the Ecuadorian Amazon. What can be done, so that amongst so much changes and turmoil, the nature and culture of indigenous people, do not completely disappear? So that we understand the responsibility we have to look after the forest, so that the forest can look after us? How can the younger generations carry on their parents traditions, so that the thread that unites them in a common destiny is not broken? And for the government to recognize the true existence and work of those men and women, that still convey the knowledge and wisdom to look after the health and life of their people and territories? Sacha Warmi’s team: (left / right) Diana, Luis, Rosa, Didier, Eleonore, Sandra. Recently we decided that it was time for us to officially constitute ourselves as an “organization” that is legally recognized by the Ministry of Culture and Heritage of Ecuador, so that our work can have greater visibility, reach and funding. Our organization, Sacha Warmi, is made up of women and men alike, half indigenous and half westerners. We work with groups of ceramist women, with traditional midwives, and with young people, to encourage the transmission of traditional knowledge amongst them. 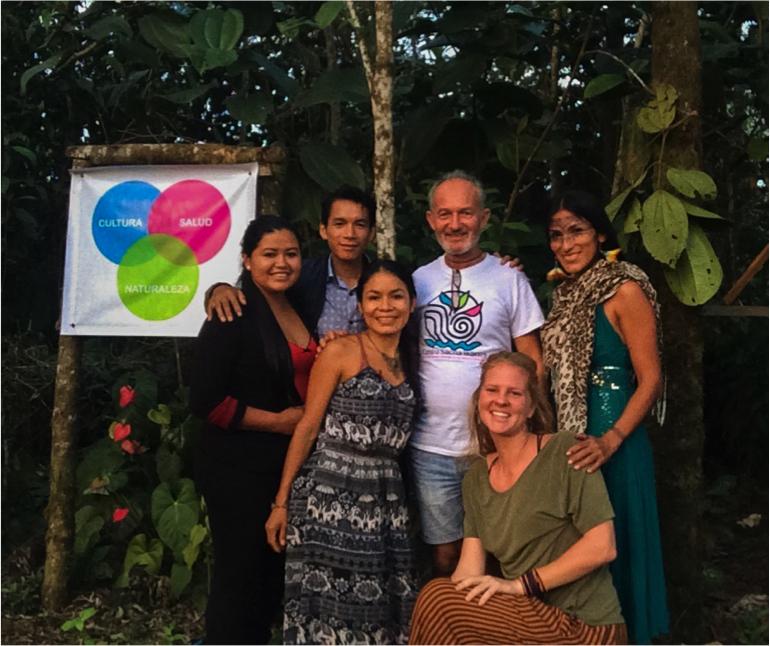 We support the the revitalization of ancestral medicine with the indigenous organization Alianza Ceibo, in the northern Amazon region of Ecuador. We seek ways in which we can assure that indigenous people reap the benefits of the use of the biodiversity of their forest. This is, amongst other activities, what we do, putting our experience and know-how at the service of those people and communities interested in sharing their vision with ours. 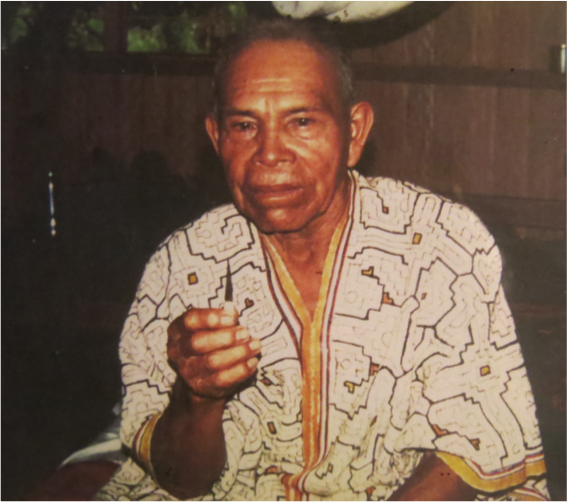 Thirty-five years have passed since my encounter with the indigenous shaman from Ucayali. Today, the state of indigenous traditional medicine in the Amazon is difficult to know. Some people think, “now that we have western medicine, we don’t need traditional medicine.” The issue for them is that they are losing their own medicine, and this loss is not being compensated by western medical services. Just as you would not put a shaman in the operating room, you would not have a surgeon remove a bad spirit from an indigenous patient. Projects come and go. Nobody can say for certain whether what we are doing will turn out to be helpful or not. There are always winds blowing, which influence and sway things. But despite all these uncertainties, we continue to motivate and support the people of the communities, so that they don’t lose the wisdom, which has always been the main source of health and life in the Amazon. It is evident that indigenous people can also benefit from western medicine. But, we remind western medicine of its commitment to also recognize, value, and support traditional indigenous medicine; and encourage them to consider the possibility of the existence of the invisible, for the benefit of indigenous people and the rest of humanity. Didier Lacaze, is a consultant specializing in Amazonian traditional medicine, shamanism and medicinal plants. He has over thirty years of experience working with regional and national indigenous people and organizations in Amazonian Peru and Ecuador on indigenous health care programs.